A destination, as well as a good base for exploring northeast Italy. Verona -- The Roman Amphitheater is the biggest draw, but there are many other Roman ruins around town. The coffee shop I stopped in by chance had a see-through floor tile with ruins visible underneath! The Piazza delle Erbe is certainly one of the most congenial in Northern Italy, and is located in the old Roman Forum. 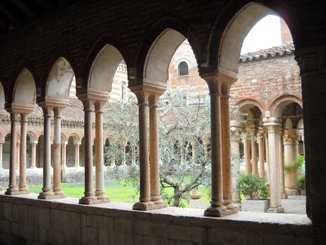 The Basilica of San Zeno Maggiore, with its rose window and its doors and so much else, is a Romanesque treasure. 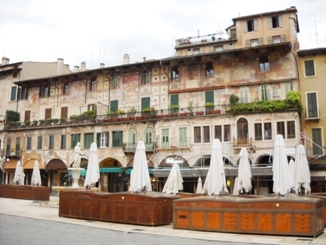 We also found Verona to be a great base for exploring nearby places. Padua -- Lies between Venice and Verona. A city cited by Shakespeare, we had a pleasant lunch on the main piazza at Osteria L'Anfora. Great pasta. 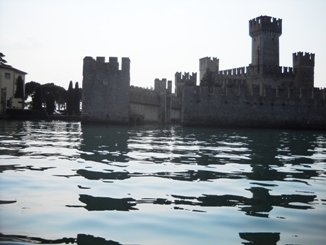 Lake Garda -- We only had time to visit Sirmione, but that alone was worth the trip. This large and beautiful lake, which reaches the mountains, has a string of medieval cities along its shore, such as Sirmione. Villa Barbaro -- This is one of the Palladian villas in the area of Vicenza. It is hard to explain, but we felt an almost immediate sense of peace when we visited this Renaissance gem, set in lovely countryside. The nearby town of Asholo was scenic. Trattoria da Gianni, on Via Clavature, just off the town's historic squares. Our same trusted local source also strongly recommended Ristorante Cesarina, but we did not have time to dine there. Next time -- We would love to visit Mantua, as well as the city of Vicenza itself, plus more of the towns along Lake Garda. I understand that the Giotto frescoes of the Enrico Scrovegni chapel in Padua are superb, but that requires advance reservations. Some day in my lifetime, I vow to see the beautiful mosaics in Ravenna. I also look forward to seeing Ferrara and Argenta (for the landscape). 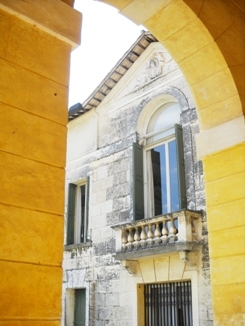 In Vicenza, leave your car and explore the historic center on foot. In the area, visit Bassano del Grappa (bridge designed by Palladio, with ceramic shops and grappa Nardini), and Marostica e Nove. Don't miss the Palladian Villa Capra "La Rotonda." For a return visit to Lake Garda, drive to Lazize (Ristorante Il Porticciolo, famous for fish from the lake), Punta S. Vigilio, well-loved by Churchill, Villa Guarienti, and many other little towns.